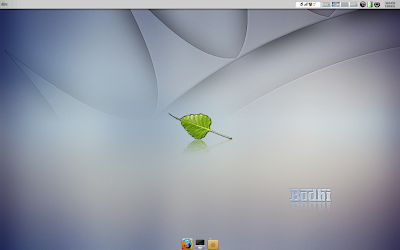 I downloaded latest Bodhi Linux 0.4.1 from Bodhi Linux website via torrent. I first installed it in my USB drive(using USB Startup Disk Creator app in Ubuntu) and then tried to boot Bodhi Linux from it. But for some strange reasons, it didn't work. It got stuck in a boot prompt and nothing worked. I tried it in my PC and laptop without any results. Later, I burned a CD with Bodhi Linux and tried booting from it. Then again, another issue emerged. I couldn't find any screenshot application in default Bodhi Linux and I can't install one from synaptic too since I was using Bodhi Linux from a bootable CD. I went on to manually install Bodhi Linux in my USB drive using Bodhi Linux live CD and tried booting from it. This time, everything went fine. I had the very first glimpse of Enlightenment desktop and it was precious! 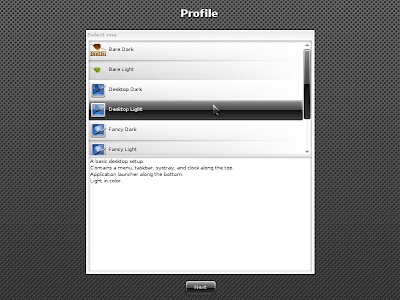 And I installed gnome-screenshot application which is included in the gnome-utils package. Bodhi Linux is a very minimal Ubuntu based Linux distro with Enlightenment(E17) as the default desktop(window manager). Standard ISO size is just around 350MB and the latest release is based on Ubuntu 10.04 "Lucid Lynx". System requirements will tell you the whole story. Bodhi Linux requires just 1.5GB HD space, 300mhz i386 Processor and just 128MB of RAM! Thats how minimal things can get. I am writing this article right from Firefox 4 beta 8 browser which is a default in this version of Bodhi Linux I was using. Though I would have preferred Chromium over Firefox for Bodhi Linux, things are really getting better with every new beta release of Firefox 4.0. I actually enjoyed browsing from this new Firefox 4.0. 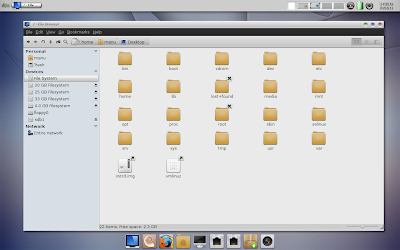 One of the first things you are going to notice while logging into Bodhi Linux is a prompt that will ask you to choose the theme and the applications you would like to have in your desktop as default. And to my surprise, everybody's favorite Faenza icon theme was included among the default themes available. 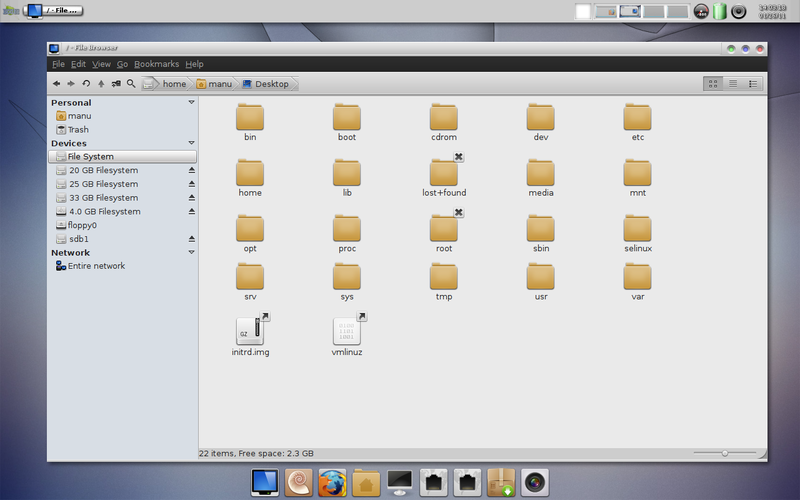 Thats how my default Bodhi Linux desktop looks like. Earlier, I chose the "Laptop Light" theme from the prompt we talked about before. Optional dark theme is also available but in my opinion, light theme is the best of the lot. Dock application at the bottom is called "Shelf" and like Docky or AWN, Shelf is quite easy to use and configure. 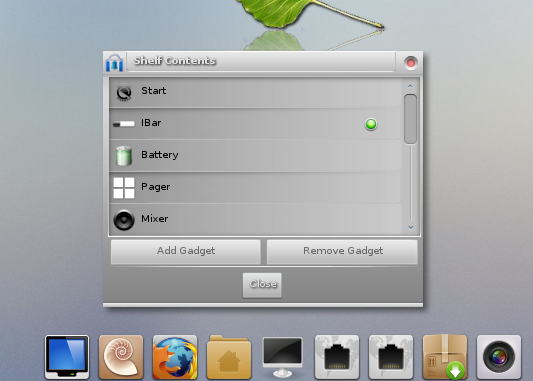 Bodhi Linux has Nautilus as the default file browser and also has Synaptic Package Manager as a default option. As you could see in the screenshot below, Nautilus in Bodhi Linux is already powered by awesome Nautilus Elementary hack. 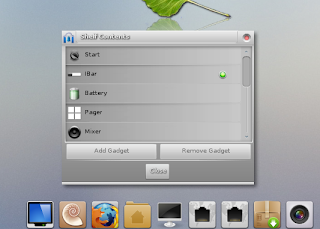 So the default list of applications in Bodhi Linux include Firefox 4.0 beta 8, Nautilus file browser, Synaptic Package Manager, Network Connections and Network Manager app, LXTerminal, GDebi Package Installer among others. And all of this occupies just around 1.5 GB of disk space. It was initially quite hard to get accustomed to the new set of keyboard shortcuts. For example ALT+F4 will take you to the last desktop instead of closing the current window. And there was no ALT+F2, instead it will take you to the second desktop. But all these are problems when you look at it from a GNOME perspective. Apart from that I didn't find any other major usability issues with Enlightenment(E17) desktop at all. Bodhi Linux is exactly what you need if you have an old Computer with bare minimum specs. Though I have to add that, I didn't find any inadequacies with Bodhi Linux while using it in my laptop with rather good specs either. I went on to install Bodhi Linux in my PC eventually and I am enjoying every bit of it. Thanks to Jeff Hoogland for the tip. He is also one of the lead developers of Bodhi Linux. You can read more about Bodhi Linux project on his blog. You might also want to read about two of the most popular Ubuntu derivatives in Linux Mint vs Pinguy OS review.